Friends at work were like family to Yoga Pasupathipillai. But in 1995, she won the green card lottery to come to America and finally claimed the independence she craved. She worked constantly, corralling shopping carts, bagging groceries, and baking bread. She even earned enough for a dowry, but by then she was no longer interested in marriage. Work had made her happy, which made it all the more tragic last August when work claimed her life. Pasupathipillai, a 61-year-old assembly-line worker at the Piantedosi Baking Company in Malden, was apparently laying a tray on a conveyor belt on Aug. 6 when her apron was snagged in the machinery. The belt twisted her apron around her neck and choked her, state officials said; she died in the hospital nine days later. The federal investigation led to a settlement that required the company to check all work stations by the end of last year and fix any hazards by the end of March. “It shouldn’t happen to anyone,” said Thiru Satchi, 53, her cousin and only relative in the United States. Because her violent death happened out of public view, it was not widely known for weeks. But the bakery’s safety violation — its second in two years — is focusing new attention on the dangers facing the increasingly immigrant workforce that toils in bakeries, factories, and construction sites across Massachusetts. The federal Occupational Safety and Health Administration investigated the death and fined the bakery $20,790 in October for serious safety violations, including inadequate guards around the conveyor belts and insufficient buttons to stop the machine. However, in November the federal agency reduced the fine to $16,500 when the company agreed to hire an expert to examine work stations, identify hazards, and fix them in coming months. The company also posted information about the violations in Spanish, the language of many employees. An OSHA spokesman said the fine and the settlement agreement is designed to ensure that the company fixes any problems to prevent injuries or deaths. “We don’t want them to happen again,” said agency spokesman Ted Fitzgerald. MassCOSH says 21 Massachusetts workers have been crushed to death by machinery since 2000. In 2011, the federal agency also cited the bakery after a 43-year-old employee’s finger was amputated by two conveyor belts while she packed baked goods, according to OSHA and MassCOSH. The company paid a $4,000 fine in that case. Piantedosi, a family bakery founded in 1916 by an immigrant from Italy, held a memorial service for Pasupathipillai, who had worked there 17 years, but declined requests for an interview. The bakery has a large commercial plant in Malden where Pasupathipillai died, and a shop in Winchester. A petite, serious woman, Yogambigai Pasupathipillai was one of five siblings born to a farming family in Jaffna, a city in northern Sri Lanka, an island nation of 20 million people in the Indian Ocean. She finished high school and worked as a bookkeeper, but applied to come to America after her father died and war broke out between the government and the Tamil rebels. The war lasted 26 years, left thousands dead and injured many more, including her brother, who was wounded by bomb shrapnel. In 1995, she won the visa lottery to come to America. “One in a million. Yoga got it,” Satchi, her cousin, said. In America, she faced her own trials. She held down two jobs, baking at Piantedosi full time and working part time at Stop & Shop. She walked everywhere because she never learned to drive. About a decade ago, Pasupathipillai suffered an aneurysm that nearly killed her. 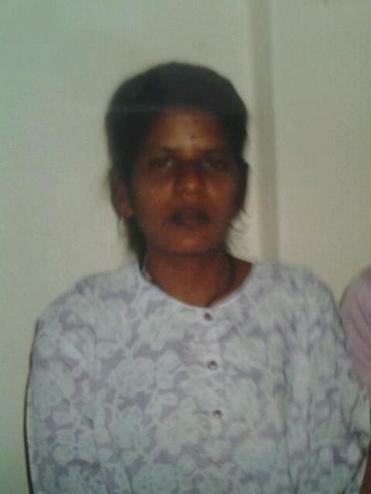 Her mother came to Massachusetts from Sri Lanka to nurse her back to health. But, then her mother died in an escalator accident shortly after she left the United States. Her cousin said she earned about $22,000 a year and had little in the way of material wealth. He had helped her buy an apartment in Malden a few years ago that remained sparsely furnished at her death. But friends at work and in her neighborhood became like family. She remembered their birthdays. She cooked dinner on Sundays for her former building superintendent. She bought one co-worker clothes after the woman lost her belongings in a fire. And she donated money to war orphans in Sri Lanka, which she visited recently, for the first time since the war ended. In Sri Lanka, relatives had imagined that she had become rich in America. They were stunned when they arrived for her funeral and saw her spartan apartment, just a bedroom set, a chair, and a table. But Satchi realized, going through her papers, that in a few short years, she had managed to pay off a third of the mortgage, more than $60,000. “She had a simple life,” he said.